Sir Arthur Conan Doyle (1859-1930) was the preeminent figure in late 19th-century detective fiction. A physician by profession, he soon found such popularity as a writer of detective stories that his writing was far more profitable than his medical practice. 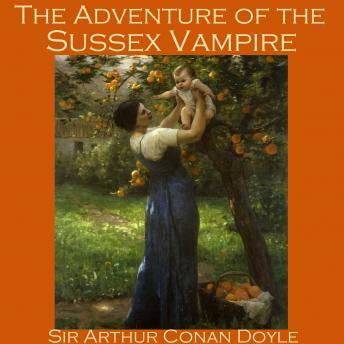 'The Adventure of the Sussex Vampire' is a Sherlock Holmes mystery. Holmes and Watson are contacted by a country gentleman whose Peruvian wife has been caught red-handed sucking the blood from her baby's neck. Can there be any explanation other than that the woman is a vampire?